Cosasco and Sensorlink AS have signed an exclusive partnership. Under the agreement, Cosasco will have unique access to market, sell and distribute Sensorlink’s PipeMonit® SWARM monitoring solution for the oil and gas, chemical, power and water treatment industries. Sensorlink aims to widen its market reach with the agreement. 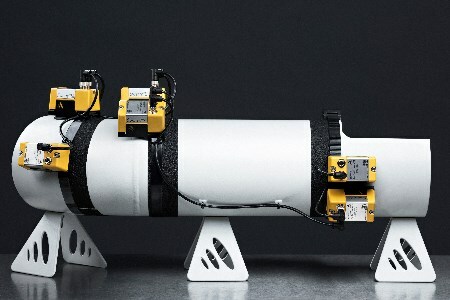 This technology is a fixed point, online, non-intrusive ultrasonic monitoring solution that provides precise, reliable and repeatable pipe wall thickness measurements, in real-time, for detecting corrosion and/or erosion. The solution enhances the safety and integrity of topside applications while reducing the operating costs and downtime associated with traditional non-destructive testing (NDT) techniques. “Thanks to this exclusive agreement with Sensorlink, we are enabling customers to further optimise their operations by reducing the health, safety and commercial risks associated with NDT inspections. With Sensorlink’s innovative PipeMonit SWARM technology integrating seamlessly with our new and existing Microcor® Online systems, together we can offer the highest resolution, real-time asset integrity monitoring systems on the market,” said Mike D’Anzieri, President of Cosasco.